Sometimes without trying you can take a picture that just looks cool... 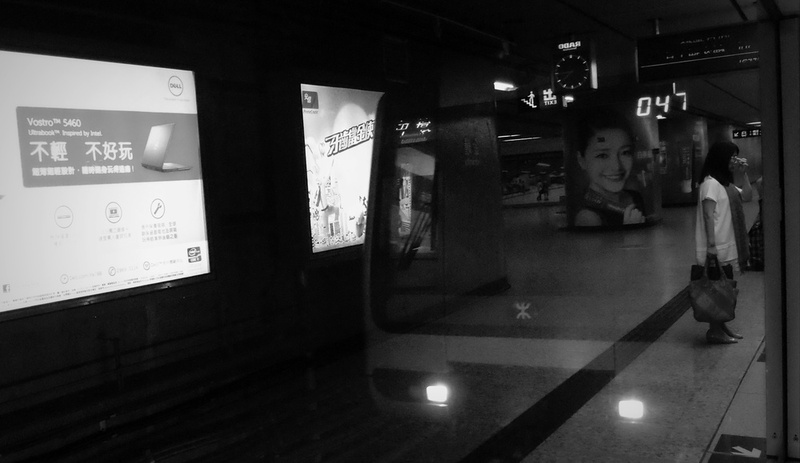 I took a picture of the MTR train arriving in Admiralty Station through the suicide platform doors.. it looks like the train is actually going through the lady standing on the platform. Anyway, I thought it looked good so I made a black and white image... this is one for coffee table book. Dragon boats at Cheung Chau courtesy of "K"
This is not a Dragon boat courtesy of "K"
As it was Dragon boat day I thought it entirely appropriate to feature some images of said vessels in their natural habitat, problem was I was a million miles away... so "K" thanks for the splendid images taken with a splendid camera (top of the line Canon) at Cheung Chau and I also really like the Government Flying Services Helicopter attending a medical emergency on Cheung Chau image. Huzzah! Like something out of a bad Flintstone's Movie... the unfortunate chap wearing these things was a walking advert of brands - I guess money does not always mean good taste. 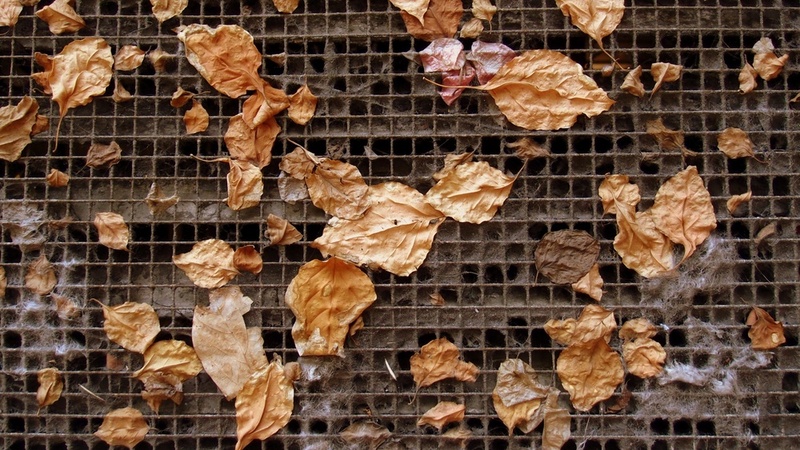 The sight of all that dust made my hyperventilate ( I am somewhat OCD when it comes to dust) - this was a vent of sorts outside our local supermarket with about 3 years worth of dust and old leaves on the filter. This was the first time I had seen a fancy sailboat up close and jolly nice it was. 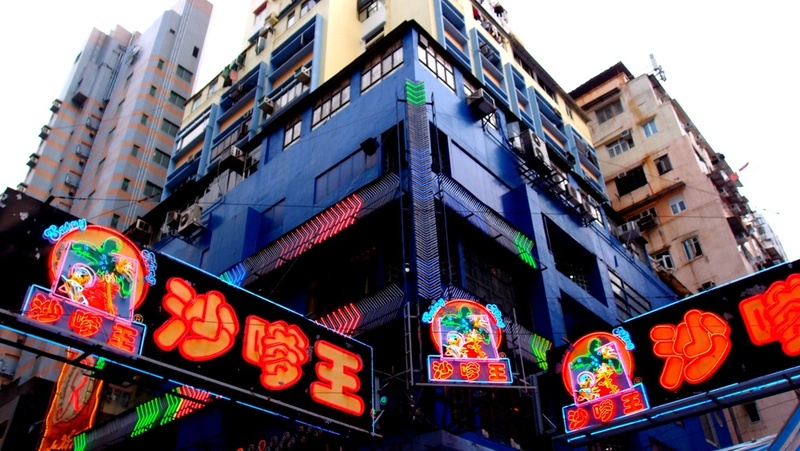 A very colourful building... this image was taken from within the Ladies Market in Mongkok in Kowloon. Posted on June 13, 2013 by Jamie Lloyd.